Remarkable home in well established Northwest Crossing. Located on a cul-de-sac, next to a baseball and soccer sportsplex. Bright and airy w/ tons of windows. Kitchen features loads of cabinet space and a removable island. Lavishly landscaped backyard w/ mature trees, sprinkler system & gorgeous wooden deck with lattice and railings, perfect for entertaining. Home also features a huge game room up. Walking distance to award winning elementary school. 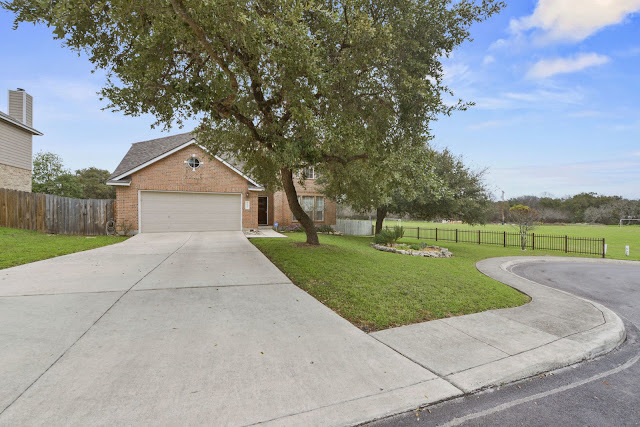 This entry was posted in Blog and tagged 9407 De Leon Dr San Antonio TX 78250. Bookmark the permalink.